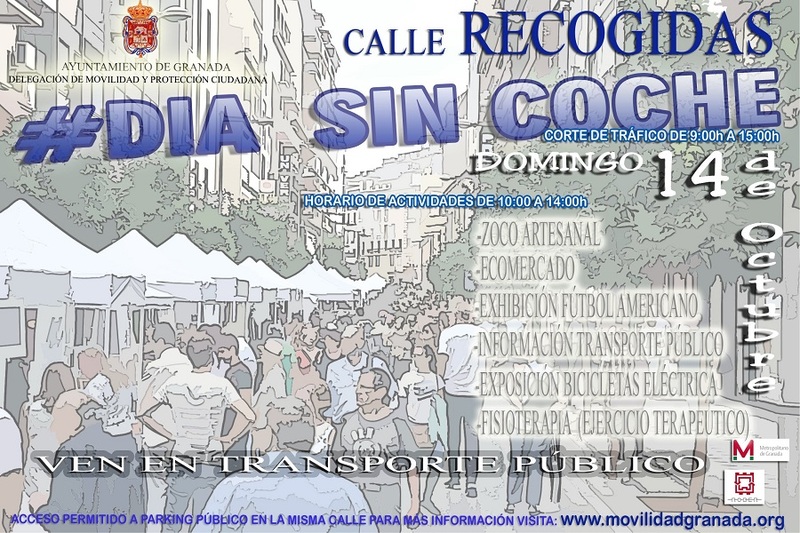 Traffic cut in Recogidas Street (between Pedro Antonio de Alarcón and Puerta Real) will be this Sunday 14 October between 9:00 and 15:00 hours. Permeability of Recogidas Street is guaranteed in Martínez Campos, General Narváez an Luis Braille (access to Garage Rex), Solarillo de Gracia and Alhóndiga Streets. Park your car and take public transport. Access awolled to public parking in the same street. Delegation of Protection and Mobility.